Here is the story of an amazing man of God that believes with all his soul, heart and spirit. A man of prayer and vision that I’ve had the privilege to pray with for the past 12 years as we meet at noon every Friday in his office. Many times when I was being kicked by the devil, he was the one that helped me to see the other end of the tunnel, always believing, always positive reminding all of us that God is still in control no mater what was going on around us. What a great honour it is for me to have this man as a friend. Kicked out from school in the fourth grade, called dumb by man, immigrated to Canada and became a very successful businessman, owned a couple of planes, travelled to many places, ministered to multitudes; father of five children, grandfather to 15 and great grandfather to five. This is the story of an extraordinary man that just refuses to give up, still works full time at the age of 82 and is looking forward just like Caleb to take on the high hills. 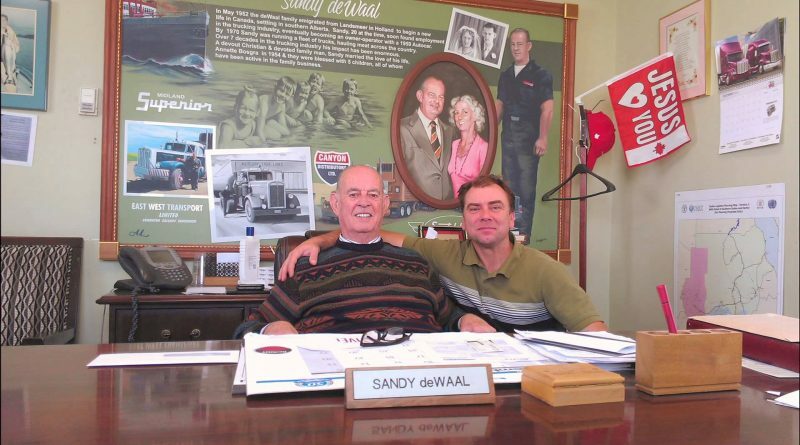 Meet Sandy DeWall, a man of a different spirit. Listen to his incredible story.